Be sure to inquire about our specialized services for Catholic mass weddings. Prospective clients may always request invites to upcoming live MVSJ performances. Audio and video samples represent only a small portion of the broad, diverse music selection available to you through MVSJ. Audio and video samples demonstrate the sound quality and range of styles you can expect from MVSJ. MVSJ Classical repertoire covers all major classical periods and styles. To sample our rock string quartet versions of the greatest hits of more recent years, including music of Coldplay, Lady Gaga, Metallica and more, please visit our Wired! page. Please note: Many clients transition from a classic ensemble for wedding ceremony and cocktail hour music to one of our Wired!or jazz options for dinner or reception music. Timeless elegance, famous versatility; ideal for any size event indoors or out; amplification usually advised only for corporate events or large indoor receptions. Resonant and rich, yet simple; suited to most events indoors or out, with nearly the same music selection as the string quartet; amplification rarely needed. Simple sophistication; Great for small to medium-sized outdoor events or any size church wedding. Subtle elegance, all musical styles, appropriate for any size event with amplification. Warm or festive ambiance; ideal for small to medium scale events or for localized entertainment station in larger event space; amplification always provided. Bright, classy, and refined; great acoustic projection indoors or out, amplification rarely necessary; creates a classic royal atmosphere for small, medium, or large events. Soothing, nuanced, and visually appealing; best suited to church weddings or small indoor reception gatherings where the subtle beauty of tone will be most audible; give careful consideration to acoustics when booking for outdoor events. Here are some clips of actual wedding ceremonies with Monte Vista Strings & Jazz performing. 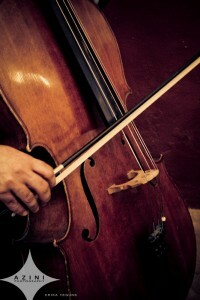 MVSJ explicitly guarantees the professional credentials of EVERY MUSICIAN on EVERY INSTRUMENT at EVERY EVENT we perform. You will hear the MVSJ difference.